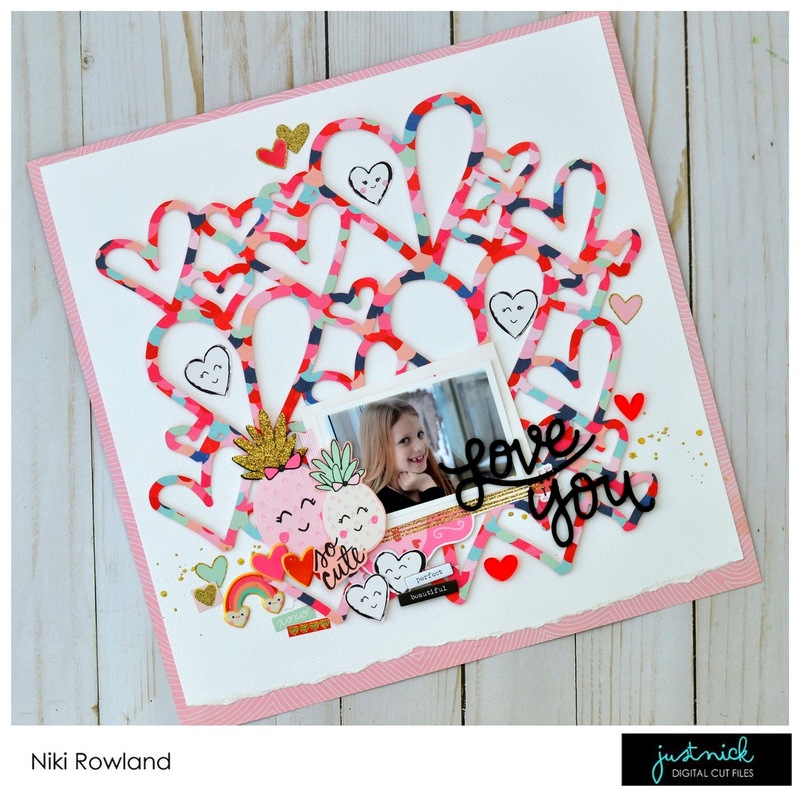 Hey scrappers - love is in the air over at Just Nick and I'm up on the blog today with this layout to share using the super gorgeous 'Heart Background 4' cut file which is new to the store. Head over to the blog to check it out and pick up the file along the way! I've used Crate Paper Main Squeeze and some Perspextives by Bramblefox too.